Texas Tech is a top-ranked public university that is large enough to provide the best in facilities and academics, but small enough to focus on each student individually. Our relationship with the university dates back to the early-2000s when we first outfitted the campus with the X-Series of switches to provide IT administrators with an easy-to-manage networking solution. To further foster a shared love of education and integrated classroom learning experience, we donated over $100,000 worth of ExtremeSwitching equipment for use in the Telecommunication Networks course taught by Associate Professor Dr. Brian Nutter and Senior Network Administrator Everett McArthur. Classes of up to 30 students will be introduced to OSI, packet switching, IP, Ethernet, and other network concepts with the help of the donated gear. The course is geared to students who have taken previous classes in communications, electronics, digital logic, programming and statistics so students can apply the material they’ve learned to complete hands-on assignments using the ExtremeSwitchingTM and ExtremeXOSTM operating system products to simulate networks. The switches are for doing hands-on homework assignments. The value in having actual hardware is the instant feedback to the student. In the ECE 4325 class, the students are given a scenario where they are required to design the overall network, assign IP address space, assign VLANs, and set up basic routing between subnets. The use of actual hardware by students will improve student outcomes compared to a purely theoretical report. When students write a paper, they have to wait for feedback. But when using actual hardware, they know instantly if there is a problem in their design, can figure out how to correct it, and know before the assignment is turned in that their design works. This hands-on approach helps the student learn faster and retain more knowledge. McArthur and Nutter are planning to introduce a special topics class into the Texas Tech curriculum in the spring of 2018. The class will use Extreme’s equipment to teach advanced networking concepts that are not covered in the introductory telecommunication class. The special topics class will cover advanced routing and switching, network management, Quality of Service (QoS), and network security. One of the reasons why McArthur and Nutter asked for Extreme equipment is because of the free GNS3 offering to students. While other network virtualization teaching tools can be expensive, or have very short free-trial periods, the Extreme Networks virtualization solutions are included at no extra cost. “Because we use Extreme Networks throughout our campus, including ExtremeSwitching, ExtremeWireless and ExtremeManagement, I use that as an example in class of engineering a design for a specific set of circumstances. We picked Extreme for our access-layer switches to use in our data centers, and in our edge closets because they work well in our environment,” says McArthur. Texas Tech students will graduate with a unique experience in working directly with networking equipment in the classroom, giving them an advantage when entering the job market. 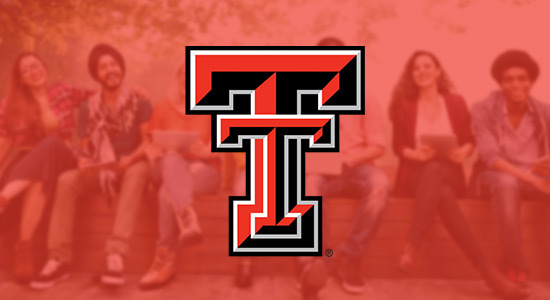 We are thrilled to be furthering the learning processes in Texas Tech classrooms, and look forward to continuing our relationship in the years to come.